Completion of the St Gotthard Tunnel beneath the Alps, 1880. The tunnel was built to link Italy and Switzerland by rail. 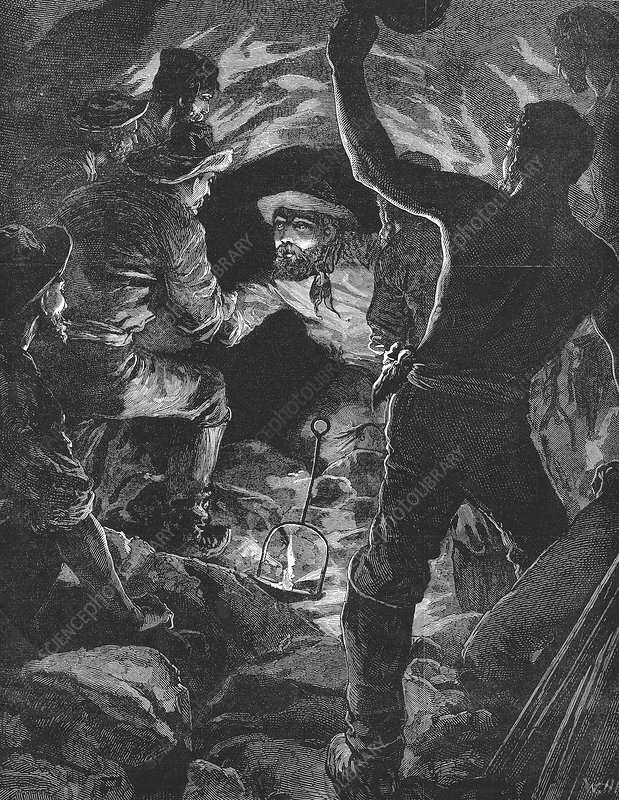 Workmen from the two ends of the 9 1/4 mile-long tunnel broke through the last piece of rock and met to complete the tunnel on 29 February 1880.